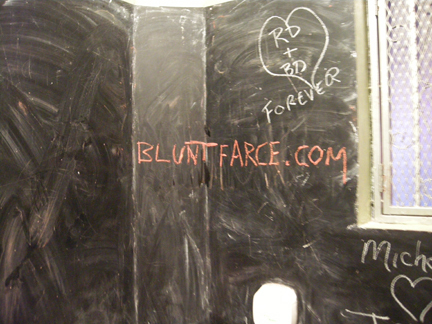 OFFICIAL DISCLAIMER: While we love your support and appreciate you spreading the word and raising awareness, Blunt Farce does not approve of or encourage illegal graffiti or the defacement of public surfaces. Basically: Please DO help get the word out, but don’t ruin anyone’s day or property in the process. 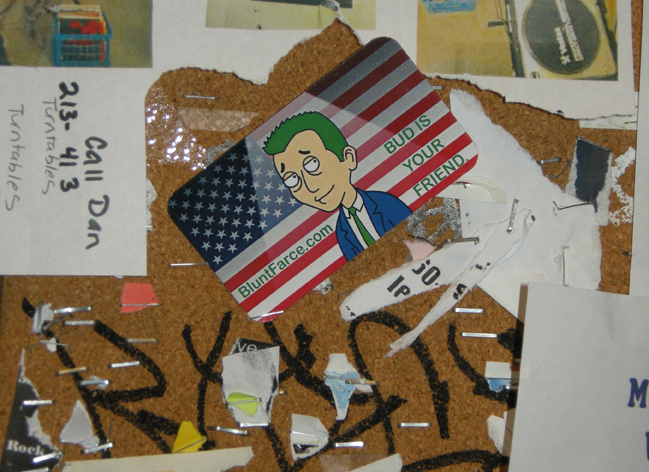 Not sure where this picture came from, but I know those cards have been handed out at various venues in four states.